It’s been over three years since Sony introduced their MDR which was headed by the MDR-1R which were described as being able to produce “prestige” sound. Even though they were pricey, the MDR-1R was an impressive pair of over-ears and delivered in both performance and build quality. 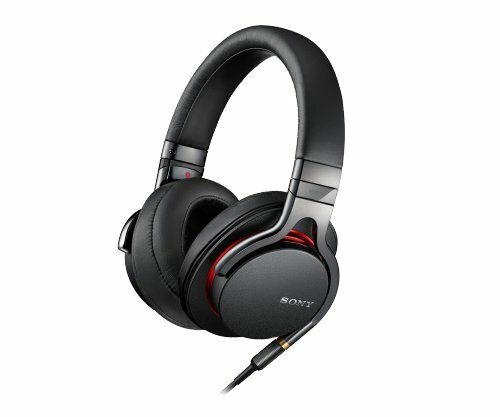 The Sony MDR-1A is a newer, updated version of the 1R which is lighter, smaller and more affordable. While they don’t have the “prestige” tag associated with them like the 1R, the MDR-1A is more than capable of delivering high-res audio no matter what you are listening to. But, how does the Sony MDR-1A fare in our review? Read on to find out. Design-wise, there is nothing spectacular about the MDR-1A. 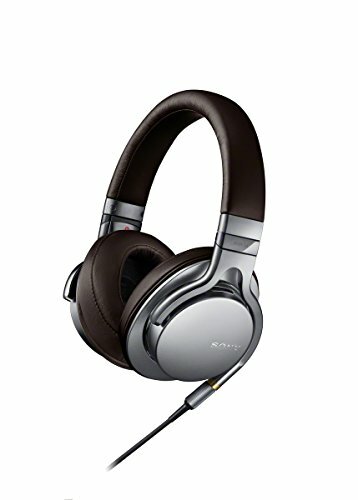 They look exactly as you would expect from a Sony-branded headphone at this price point. The metallic exterior and large ear cups manage to give it an attractive and chiseled appearance. The foam padded ear cups have a soft finish and are extremely comfortable even when used for long periods – great for a long commute or for extended music sessions. There is not even a slight hint of discomfort or pinch. Weighing in at 225g, it feels buoyant, which is helped by the plush headband. The fact that it is not leather might disappoint a few people. However, the fit is fairly loose, which might be an issue for people with small heads. It does have adjustable ear cups, but they only increase in size which might not be suitable for everyone. The ear cups rotate sideways about a hinge which makes sure that your earlobes are fully covered. The MDR-1A has good build quality and most of the materials used in it are intended to keep the weight low. Cast aluminum is used in the outer parts of the cup, and almost every other part of these headphones is made of plastic. There was a bit of creakiness when stretching the arms and it certainly doesn’t feel as premium as something like the Beyerdynamic T51i or the V-Moda Crossfade M-100. But, otherwise the MDR-1A feels solid. The MDR-1A has 40mm drivers which are capable of delivering frequencies ranging from 3 – 100,000Hz which exceeds human capabilities in both the high and low ends. No wonder then that these headphones sound astoundingly good. No matter what genre of music you throw at them, the MDR-1A handles it well and there is no need to tinker with any adjustments or the equalizer. Everything from vocal ballads to heavy metal sounds fantastic. The bass is aided by sculpted vents which maximize airflow and a liquid crystal polymer diaphragm with an aluminum coating and works well even at loud volumes. Audio is distortion free and you will be able to make out even tiny details even when the sound is turned up. Compared to many of its competition, the MDR-1A feels like it has a wider soundstage which is clearer, more immersive and well separated. The large ear cups also go a long way in delivering surround sound effect. All this adds up to exceptional bass and pristine mid-level frequencies. These headphones do add a bit of bombast to sound and if you are an audiophile looking for a set that perfectly recreates audio, the MDR-1A may be a bit of a disappointment. But, most people won’t have any complaints. The Sony MDR-1A comes in a simple carrycase with a simple 1.5m cable which helps control smartphone playback. Otherwise, there aren’t any bonus accessories, which isn’t surprising considering the rather modest price. The rotating ear cups make it easy to carry the headphones around in the carrycase. It also has a second 1.3m removable cable that uses a 3.5mm jack and is pretty thick, especially when compared to other portable headphones. According to Sony, the lead in this one is balanced with each channel getting its own ground cable and ‘sub’ cable. The Sony MDR-1A is an excellent pair of over-ears and sounds top-notch no matter what your choice of genre may be. Bass is punchy and both mid and high-level frequencies are clear and crisp. Although it is not very neutral, the pomp the headphone does add serves to enhance overall experience. Given its excellent sound quality and sensible price point, the Sony MDR-1A is an excellent buy.